This usually occurs when you install a new driver or when you install a new update. Also this issue is an official statement after the latest Windows update that a software named Lucid VIRTU MVP is not completely compatible with NVIDIA devices. Make sure that your computer is off. Press and hold down the power button for at least one minute. This is done in manner to discharge any electrical build up. Plug the charger back and put the battery back into place. Reboot your computer and check to see if the problem is resolved. Press Win + R and type devmgmt.msc in the Run dialog box. In the Device Manager window expand the category Display adapters, right-click on your device and click Disable. Switch off your computer. Take out the battery in case of laptop or take out the power cable in case of PC. Open its lid and make sure that the graphics adapter is inserted perfectly into the pins. Switch On your computer, enable the hardware and check if it is working correctly. Type Hardware and Devices in the search box, and select Find and fix problems with devices from the list of results. 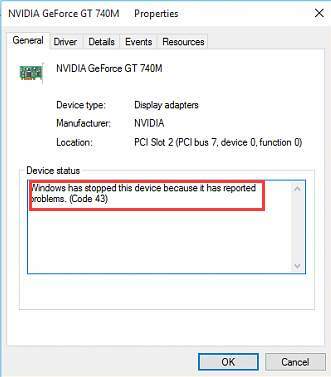 Follow the instructions in the Hardware and Devices Troubleshooter to try to fix the problem. Go to Cortana and type Control Panel and Enter. In Control Panel, open Uninstall a program under Programs. Look for Lucid MVP from the list of applications, right-click on it and select Uninstall. Restart your computer when the uninstallation is finished. On the list of devices, find the device that’s having a yellow exclamation mark on it. Then right-click the device and select Properties. Select Driver, and then select Update Driver. If a driver update is found, it will install automatically. Select Close when it finishes installing. On the list of devices, find the device that’s having a yellow exclamation mark on it. Right-click the device and select Properties. Select Driver, and then select Roll Back Driver. Press Win+R invoke a Run command. Type devmgmt.msc then click OK. In the Device Manager window and expand the Display adapters category. 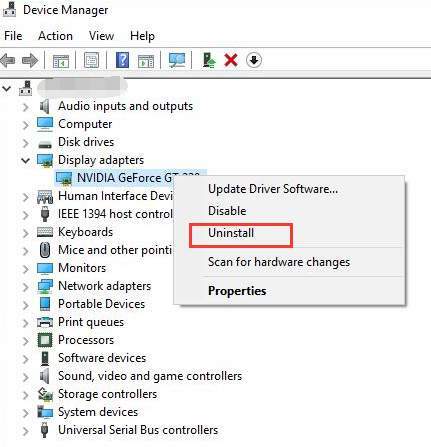 Right-click on the NVIDIA device name then click Uninstall.